Two children riding in the backseat of their grandparent’s car are having a bit of a tif. Nothing serious, mind you. They are just being a bit gruff with one another. A grandparent intervenes, “Now, that’s not how we are supposed to talk to each other, is it? It becomes apparent that there is a slight misunderstanding of the Golden Rule at play here. You see, his understanding ran something like this: The way other people treat you is the way they want you to treat them. 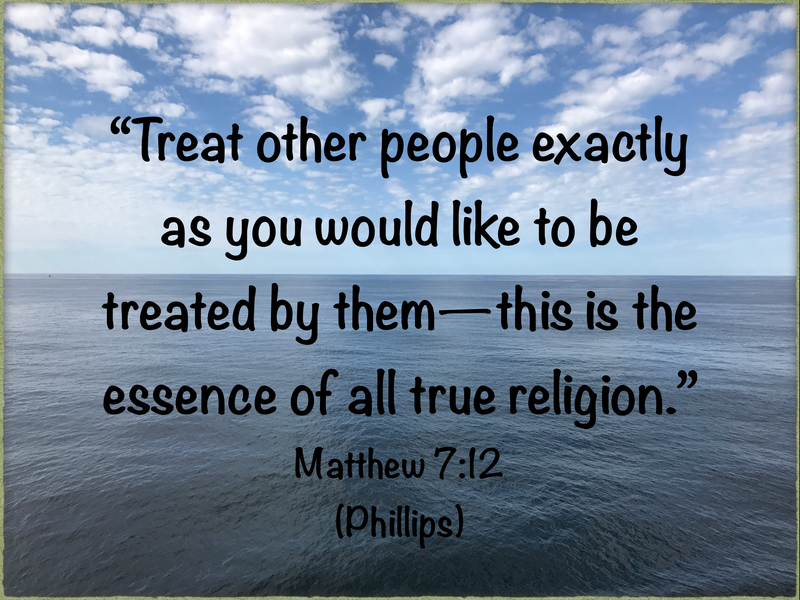 The wise grandparents in the car explain: The Golden Rule applies to each of us, sometimes in spite of the way other people are acting. It is our responsibility to treat them the way we want to be treated, regardless of how they treat us. It is really quite simple: Please remember to be nice! Reblogged this on spiritual oasis blog.